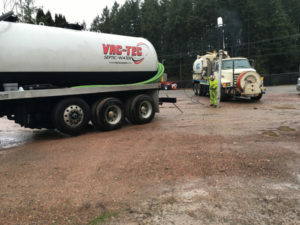 If you have a septic tank system and have never had a septic pumping service clean your tank, you may soon be dealing with backup into your house. We’re here and available 24/7 for septic tank pumping services to help homeowners in the Auburn area avoid the inconvenience and expense of a new installation. 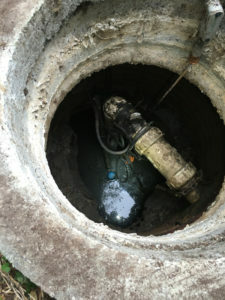 Call us to request a free estimate for septic tank cleaning. We can follow up the cleaning service with a septic inspection to help prevent future problems with your system. We recommend septic tank cleaning every three to five weeks depending on the tank size, type of tank and amount of usage. Any potential for septic tank failure can be reduced significantly with regularly scheduled septic tank pumping, proper maintenance and septic inspection to check the tank components for problems. Call us any time for septic tank pumping of a full tank, damaged drain field repair or a broken sewer pipe. Our expert technicians are efficient and professional. Why Should Auburn Residents Choose Us for Septic Pumping? 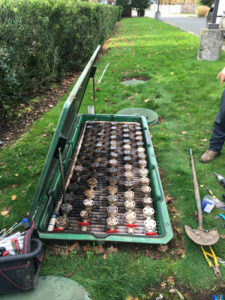 We are well known as a leader in the septic and water services industry with technicians expertly trained in all aspects of the business. Our wide range of services from septic tank pumping and septic tank cleaning to maintenance, repairs, installations and inspections are handled efficiently and professionally. And you can call us for 24/7 emergency septic issues and emergency sewer service.